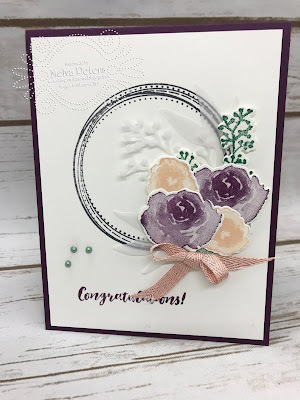 When I first say the Swirly Frames stamps I knew it was perfect for creating a wreath and I was right. 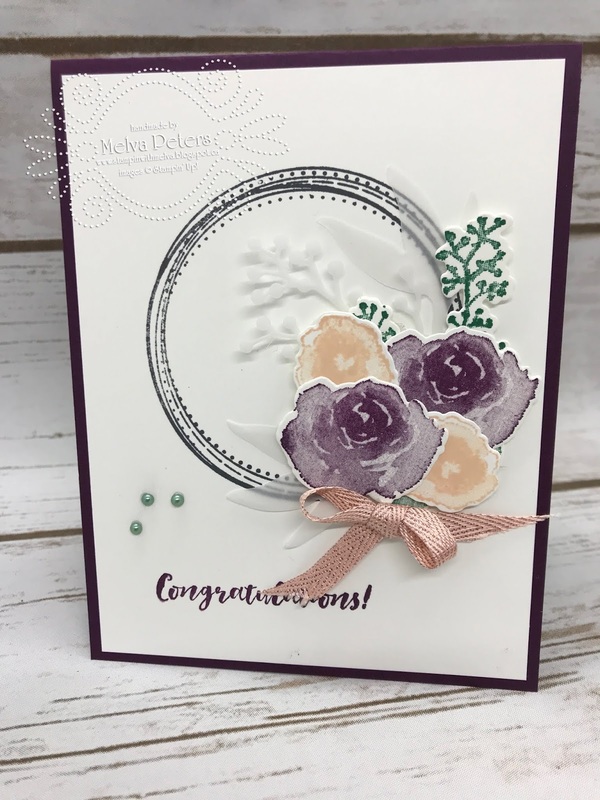 Today's card features the Swirly Frames stamp set plus First Frost. First Frost is really versatile because it includes sentiments that aren't necessarily for Christmas or the Holiday Season. The colour combination is Blackberry Bliss (I'm so happy it's back! ), Petal Pink and Tranquil Tide.